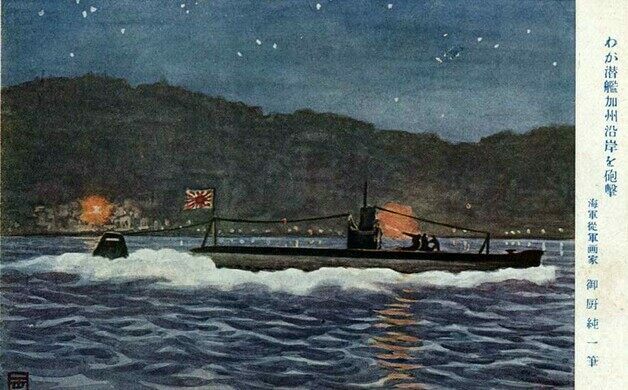 The first attack on the continental U.S. during WWII occurred off the coast of a quiet California golf course. 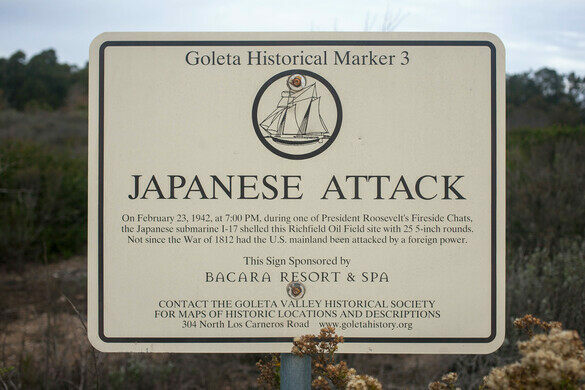 A simple stone marker on a Southern California golf course marks the spot where a Japanese submarine tried to take out an oil field at the beginning of World War II. It didn’t succeed, but the attack tragically hastened the government’s plan to round up more than 100,000 Japanese-Americans and place them in internment camps. 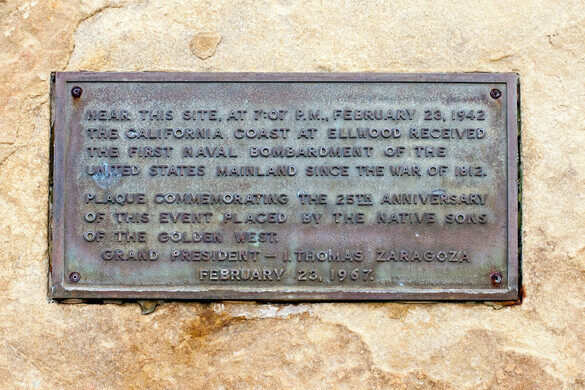 It was a little after 7 p.m. on February 23, 1942, in the small town of Goleta, about 10 miles up the coast from Santa Barbara. Ten-year-old J.J. Hollister and his family had just settled in to listen to President Roosevelt on the radio, when the boy thought he heard thunder. There was a thump, and J.J. and his family ran outside to find bright flashes lighting up the Ellwood Oil Field, just off shore. The panic created by the attack at Ellwood sparked what became known as the “Battle of Los Angeles,” when the following night saw a barrage of defensive anti-aircraft fire by the U.S. military, an overreaction to the spotting of an innocent weather balloon. 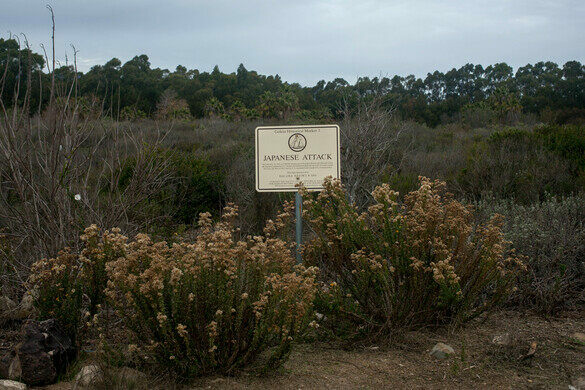 Today two markers along the Santa Barbara Channel commemorate this rare attack on the continental United States: a stone in the middle of the Sandpiper Golf Course, and a small wooden sign a quarter mile away at Haskell’s Beach. 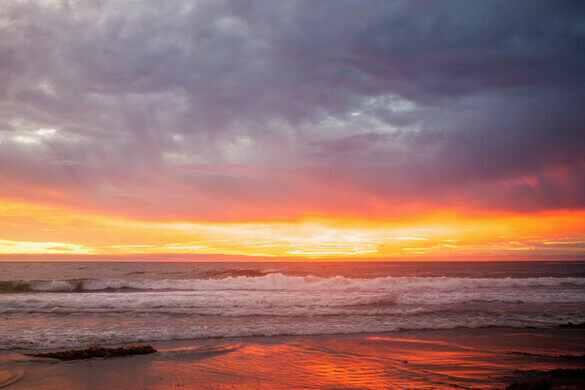 Traveling from Los Angeles, drive about 100 miles north along the 101. Take exit 110, turn right onto Cathedral Oaks Road, then turn right again onto Hollister Avenue. 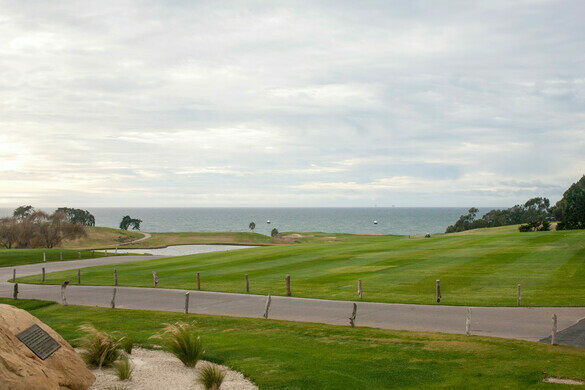 The Sandpiper Golf Club parking lot will be immediately on your left. 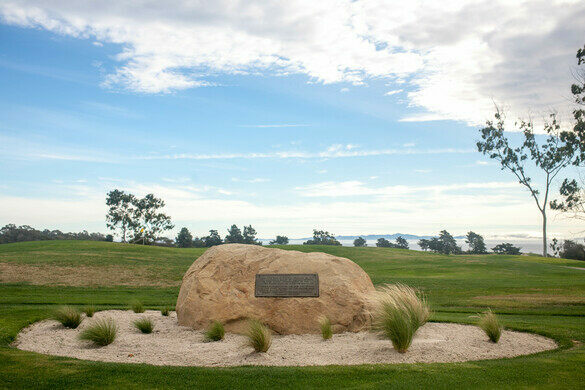 Walk past the clubhouse and the monument will be visible ahead of you. To visit the second monument, turn left out of the Sandpiper parking lot. After three-quarters of a mile, the Haskell's Beach parking lot will be on your left. Walk to the beach, you will find the marker slightly to the west of the beach house in a small field. A blunder resulted in these charming stone-lined streams becoming the target of a Nazi bombing.